Multi-family renovations come with a unique set of requirements. Our responsive customer service team works with you and your project managers to address the specific needs of your project as they arise, leading to a quality final product you can be proud of. We assign site managers for every project. REO provides a cell phone number of our very responsive and competent project manager who will stay in touch 7 days a week to keep our GC’s up to date and project on schedule. When it comes to multi-family units, apartment buildings are generally the largest scale version of this project to undertake. The scope of apartments can vary in nearly every way, from the number of units to how many floors the building has to whether the units are separated or one cohesive structure. Each variable is carefully considered by our estimators, with fast moving and skilled installers we can help you complete a project on-time and on-budget. Though duplexes and townhomes are often on a smaller scale than a full apartment complex when it comes to multi-family dwelling construction or remodeling, their requirements are more similar than you may initially think. We offer the same high quality customer service for every project, regardless of the scope and size. Our team knows the best way to get your project done. 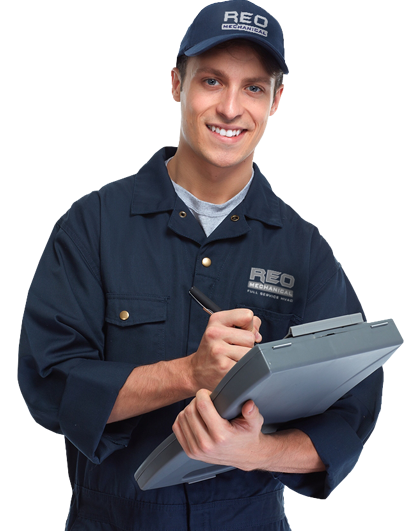 We know you will feel confident working with REO Mechanical.